As you may know I “supposedly” got the BC last month, but as I began to style my hair I just felt like something was not right. My twists always came out looking a hot mess..and my puffs just were not puffy enough. 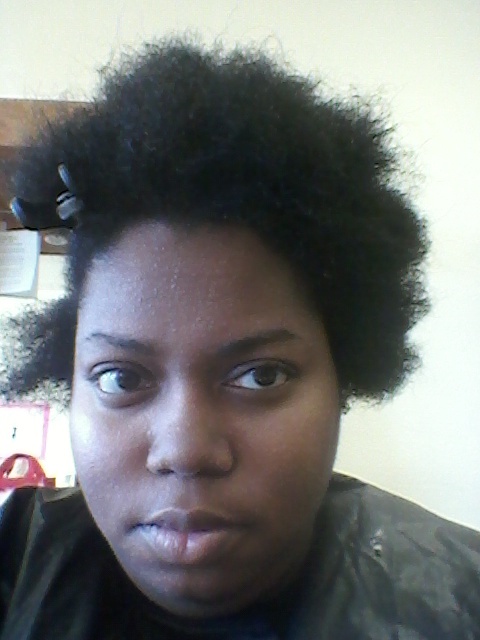 So I decided to go a different natural hair salon in my area of Gwinnett County. 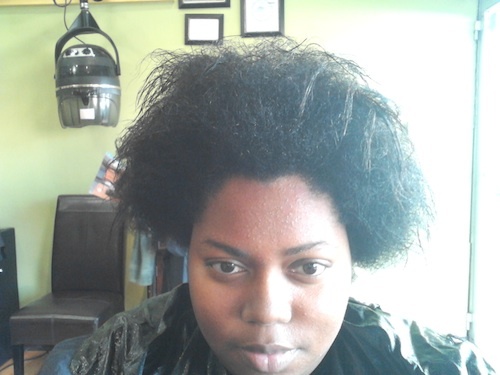 (Georgia) I booked my appt with a young lady named Christian (I think) She was very nice and seemed to be knowledgeable about natural hair. I was a little turned off because she was rocking a full head of weave but I shared with her my concerns about my straight ends anyway. I must say that I dont know how I feel about this length yet.What do you think? Can you tell a big difference? Here are pics from the first one and the most recent one.